Organizations must adopt best practices in defining and refining experiences based on vision and research-based customer understanding, with cadence, accountability and coordination, concludes a report by Forrester Research. The June 19, 2017 report -- "Elevate Your Design Practice To Differentiate Experiences" -- outlines crucial priorities and processes for those leading their organization's journeys to customer experience (CX) transformation. Authored by Forrester Senior Analyst Jennifer Wise, the report highlights key takeaways such as moving from a design-ready to a design-led business, deepening an organization's design expertise, and extending the design process beyond the team. "To optimize your design processes, you’ll need to refine Agile processes, streamline operations, and document deeper design guidelines that can scale across the organization," the report states. "You’ll also need to keep evangelizing how the design practice works through cross-functional training and collaboration." 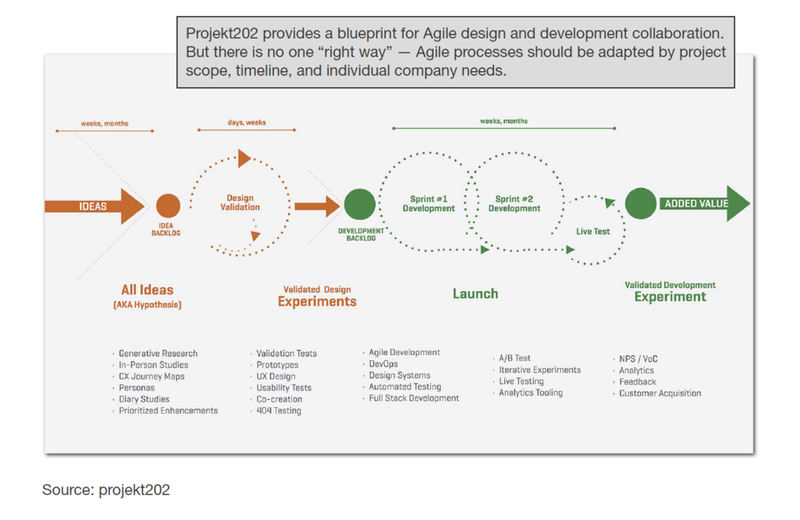 Among the examples cited is projekt202's process for strengthening Agile-based design and development collaboration. For information on getting the complete report, visit the Forrester website.